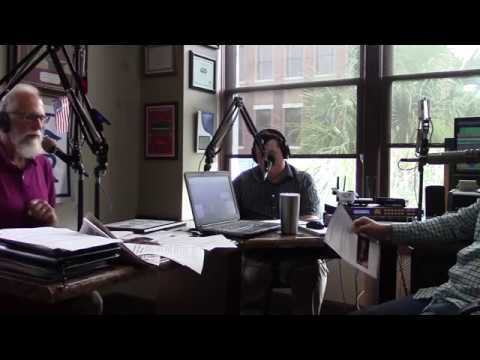 Come hear good music this afternoon, new songs about the Suwannee, Withlacoochee, and other rivers, said Suwannee Riverkeeper John S. Quarterman on the radio yesterday morning with Scott James. The M.C. for today’s finals of the Suwannee Riverkeeper Songwriting Contest, WWALS E.D. Gretchen Quarterman, explained the raffles (kayak, swag, and silent auction), and we mentioned the buffet and cash bar at the at the Salty Snapper, 1405 Gornto Rd, Valdosta, GA 31602. You can even paddle 9AM this morning down the Withlacoochee River into Valdosta to get to the Salty Snapper. We listed the finalists in the Suwannee Riverkeeper Songwriting Contest, and described the format: speeches (especially by Will Eason of the Salty Snapper), finalists play new songs about the rivers, judges score on music, lyrics, history, etc., and finally the results of the raffles, and the prizes. We showed off the First Prize plaque, just handed to us by WWALS Board Member Phil Hubbard, who made it. This entry was posted in Blueway, Music, PR, Quality, Raffle, River, Songwriting and tagged 92.1 FM, Adel, Alapaha River Water Trail, ARWT, conservation, Georgia, Gretchen Quarterman, John S. Quarterman, Julie Bowland, Lowndes County, north Florida, Phil Hubbard, quality, radio, river, Salty Snapper, Scott James, Sheboggy Boat Ramp, Songwriting, south Georgia, Suwannee River, Suwannee Riverkeeper, Suwannee Riverkeeper Songwriting Contest, Talk 92.1, Valdosta, water quality monitoring, watershed, Withlacoochee River, WWALS, WWALS Watershed Coalition on June 23, 2018 by jsq. Sunday 2PM in Valdosta, the Committee meets about the First Annual Suwannee Riverkeeper Songwriting Contest. And song submissions are open! 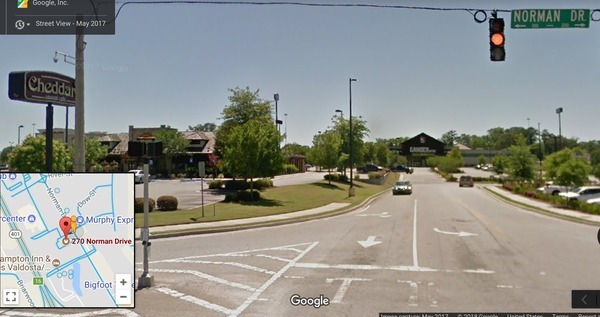 Off I-75 Exit 16, US 84, West Hill Avenue. 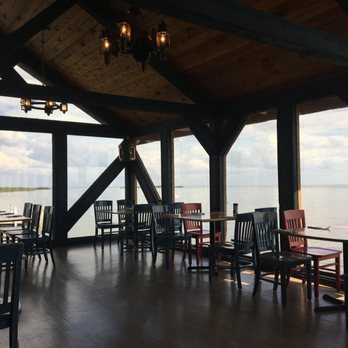 What: More judge candidates, and event logistics including sponsors, food, beverages, and the crawl afterwards, when finalists will play at local venues in Cedar Key. Like every committee meeting, you can also participate by telephone; inquire within for how. 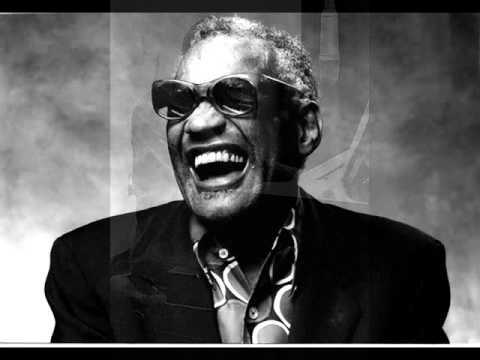 This entry was posted in Music, River, Songwriting and tagged Alapaha River, Alapahoochee River, Anna White Hodges, Cedar Key, Cheddars Casual Cafe, Cheddars Scratch Kitchen, conservation, Eileen Box, Florida, John S. Quarterman, Levy County, Live Oak, Music, north Florida, Okefenokee Swamp, river, Sara Squires, Scotti Jay, Songwriting, Songwriting Contest, south Georgia, Stephen C. Foster, Suwannee County, Suwannee River, Suwannee Riverkeeper, watershed, Withlacoochee River, WWALS, WWALS Watershed Coalition on April 26, 2018 by jsq. Wednesday noon in Valdosta, the last Committee meeting before submissions open for the First Annual Suwannee Riverkeeper Songwriting Contest. What: Judge candidates, and event logistics including food and beverages. Like every week, you can also participate by telephone; inquire within for how. This entry was posted in Music, River and tagged Alapaha River, Alapahoochee River, Anna White Hodges, Cedar Key, Cheddars Casual Cafe, Cheddars Scratch Kitchen, conservation, Eileen Box, Florida, John S. Quarterman, Levy County, Live Oak, Music, north Florida, Okefenokee Swamp, river, Sara Squires, Scotti Jay, Songwriting, Songwriting Contest, south Georgia, Stephen C. Foster, Suwannee County, Suwannee River, Suwannee Riverkeeper, watershed, Withlacoochee River, WWALS, WWALS Watershed Coalition on March 27, 2018 by jsq. Last week the Committee met by telephone. This week it will meet in person, tomorrow, in Valdosta for the first time. To attend by telephone, contact us for the number. What: Finishing up contest rules, entry form, scorecards for selecting finalists and winners, sponsor application form, and banners for sponsors. Oh, and a date to start accepting submissions and a budget. Draft sponsor banners: Which one do you like? Here are five sketches: mix and match what you would like to see flying over sponsor businesses and festival booths. This entry was posted in Basin, Festival, Music, Songwriting and tagged alligator, basin, Cedar Key, conservation, Festival, Florida, Georgia, heron, Levy County, Lowndes County, Music, north Florida, river, Songwriting, Songwriting Contest, south Georgia, sponsor, Suwannee Riverkeeper, Valdosta, watershed, William Bartram, WWALS, WWALS Watershed Coalition on March 13, 2018 by jsq. Remember, Stephen C. Foster never saw the Suwannee River before he made it famous in his song. So at its meeting last week, the Songwriting Committee decided to have two categories: submissions from within the Suwannee River Basin, and submissions from anywhere else in the world. This entry was posted in Music, River, Songwriting and tagged Alapaha River, Alapahoochee River, Cedar Key, conservation, Eileen Box, Florida, John S. Quarterman, Levy County, Music, north Florida, Okefenokee Swamp, Ray Charles, river, Sara Squires, Scotti Jay, Songwriting, Songwriting Contest, south Georgia, Stephen C. Foster, Suwannee River, Suwannee Riverkeeper, watershed, Withlacoochee River, WWALS, WWALS Watershed Coalition on February 17, 2018 by jsq. 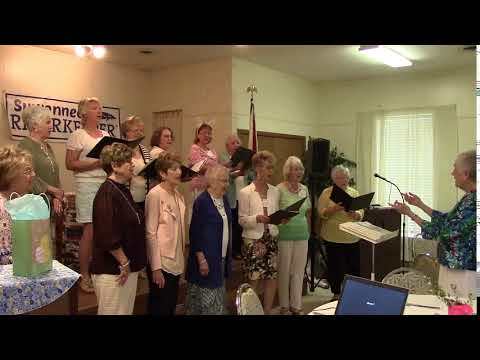 Singing Cedar Key in the summer? How many songs can you name about the Suwannee River, or the Withlacoochee, Alapaha, Alapahoochee, Little (which one? ), Grand Bay, Banks Lake, the Okefenokee Swamp, Suwannacoochee Spring, Manatee Springs, or the Dead River Sink? Most people know only one song for all of that. Come on, songwriters, let’s hear more! 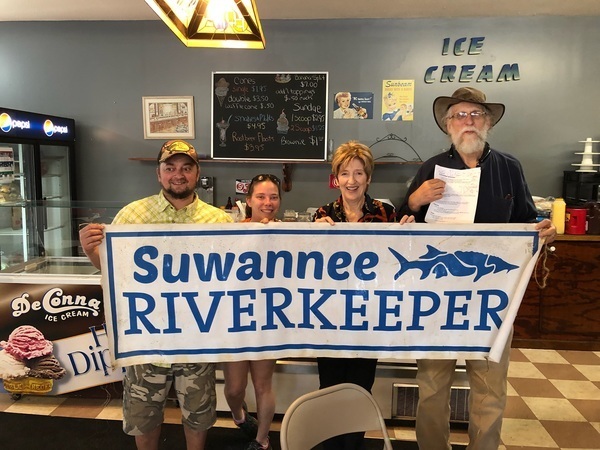 WWALS members, come help organize the first Suwannee Riverkeeper Songwriting Contest! Update 2018-02-03: And you can join us afterwards for 5 Holes Cleanup and Site Exploration, at the Suwannee River but by land. Sheet music cover of “Way Down Upon the Swanee River”. 1935. Color photoprint. State Archives of Florida, Florida Memory. Accessed 1 Feb. 2018. The WWALS Songwriting Contest Committee held its first meeting Sunday, January 28, 2018 at Crossroads Market & Grill in Hamilton County, Florida, with Eileen Box (Chair), Scotti Jay, Sara Squires, and John S. Quarterman. Numerous logistics were discussed, from submission format and content to venue: so far the leading contender is Cedar Key, in Levy County on the Gulf of Mexico. This entry was posted in Music, River and tagged Alapaha River, Alapahoochee River, Cedar Key, conservation, Eileen Box, Florida, John S. Quarterman, Levy County, north Florida, Okefenokee Swamp, river, Scotti Jay, Songwriting, Songwriting Contest, south Georgia, Suwannee River, Suwannee Riverkeeper, watershed, Withlacoochee River, WWALS, WWALS Watershed Coalition on February 1, 2018 by jsq.